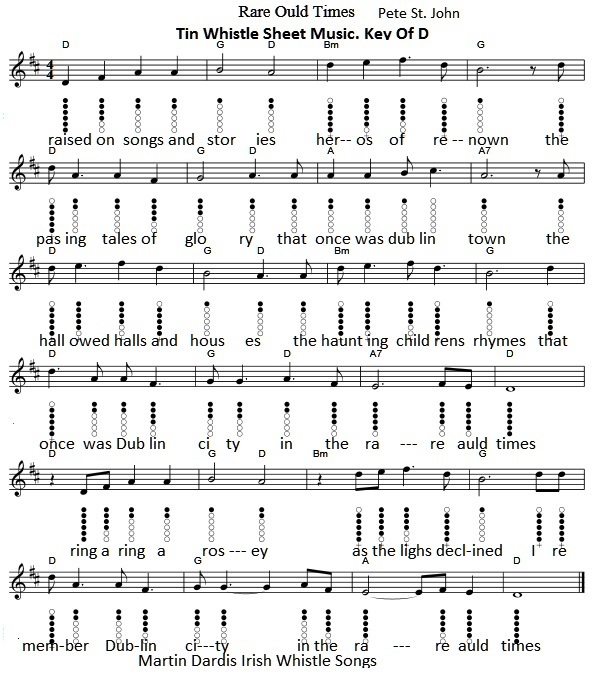 Dublin In The Rare Auld Times Sheet Music And Tin Whistle Notes, written by Pete St. John and recorded by The Dubliners. The Rare Auld Times Lyrics + chords This is a request for Martin Keely. The first piece of music is in the key of D Major and is the one I'm playing in the youtube video. I placed the words beside the notes as a guide to help you along the way, I hope this helps. The notes in the youtube video are not the same as the one's in the sheet music. I play this in the key of D on the whistle.